I’m always on the lookout for golden era Mercedes in rare colors to add to my small collection (more on that soon!). We’ve reached the point where despite millions of these cars being built and nearly all standing the test of time well, any nice one is starting to creep up in value â€” even more so if it’s in a color that isn’t earth tone. 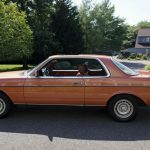 Today’s car that is up for sale in New York is the ultra-rare Inca Red paint that I’ve only seen on a handful of Mercedes over the years – let alone a W123 coupe. 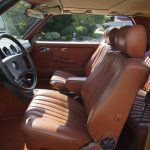 We proudly offer a rarely seen German classic in 100% unrestored and near new condition. Take one look and it will be obvious that this classic Benz has been babied throughout its life. 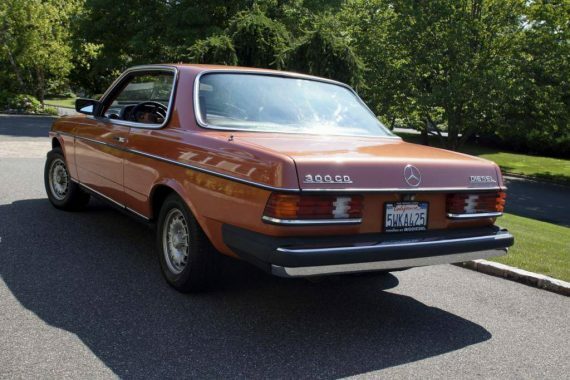 All original in every respect, this Benz has a mere 89500 miles on the clock. 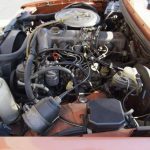 In the world of Mercedes Benz Diesel engines, this car is barely broken in and virtually new. History has recorded many of these cars approaching the one-million mile mark.. 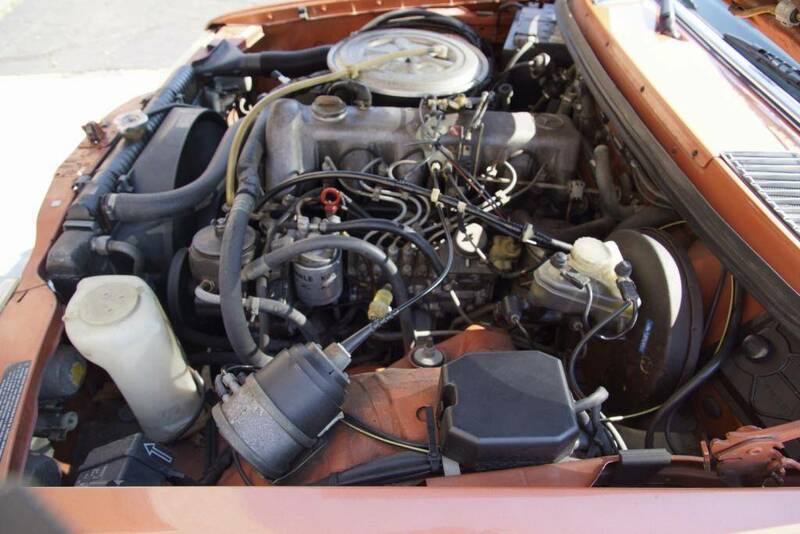 The 5-cylinder diesel engine of this Benz is made to last a lifetime and this one surely will. Exceptionally documented and maintained, the engine purrs quietly and drives beautifully. Brakes and tires are completely road worthy. 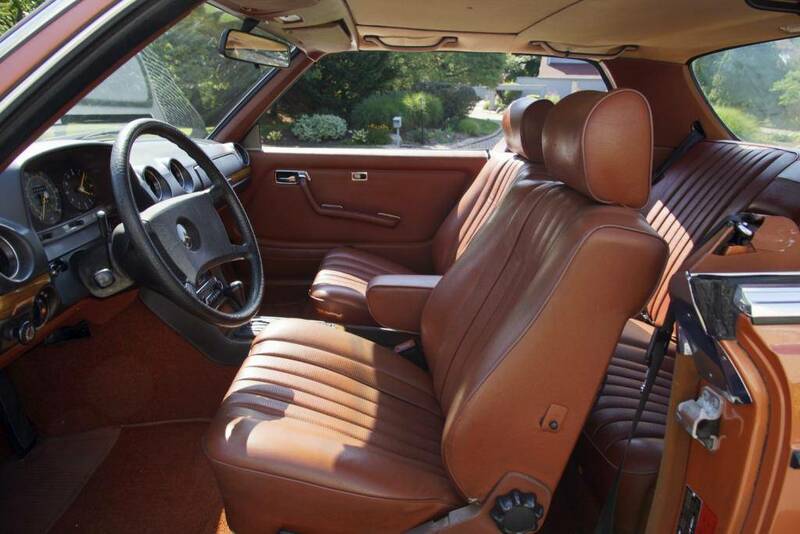 The interior is as good as new. It actually still smells new. All gauges are perfectly clear and work as they should. Seats are in near perfect condition with no tares or even a crack. All electronics work great. Climate Control AC blows cold. Power windows and locks work perfectly. Other options include the original Becker radio with 4 speaker stereo with left & right balance and front & rear fader, 3 level power antenna, power sunroof, cruise control, Nothing is needed. 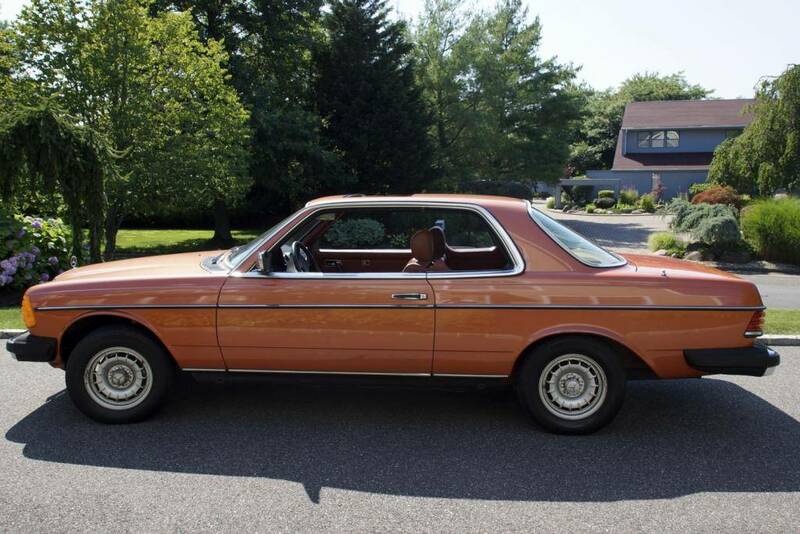 The body of this MB is 100% rust free and in excellent condition. The factory Apricot Orange paint is 100% original and shines nicely. There are paint 2 blemishes to speak of. One small fade on the hood. The second is a small bubble behind the rear window. This was typical of the time period and has not grown or spread in decades. Both blemishes are shown in the photos provided. No other issues exist. In order to keep this MB in its 100% original condition, we made no attempt to fix these blemishes. 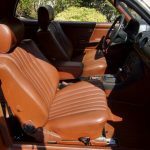 We believe that this car should be left in its unrestored original condition and the new owner can decide how to proceed. As they say, “they are only 100% original once”. With a little over 85,000 miles this car looks nearly perfect outside of the rust bubble below the rear windshield and the actual windshield starting to deteriorate a little from the bottom. But what’s really interesting is that this car sold for almost $16,000Â nearly three years ago on eBay. Today it’s listed at $11,500 with only a few hundred more miles added. It still has the same California plates as the auction showed so my guess is the car was shipped from California to New York where it has been sitting for the last few years â€” which isn’t ideal for these cars. 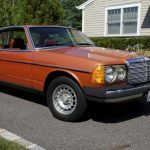 So why would this dealer list the car for almost $5,000 less, with almost no miles added, in a place that’s tough to find clean W123s, when the values of these cars are slowly on the rise? The only reason I can think of is the rust bubble started to show it’s ugly self while sitting at the new dealer but when has a used car dealer, honest or not, reduced the price of a car that much for something so small? It’s just not adding up for me. The thing is that I wouldn’t even pay the $11,500 asking price. 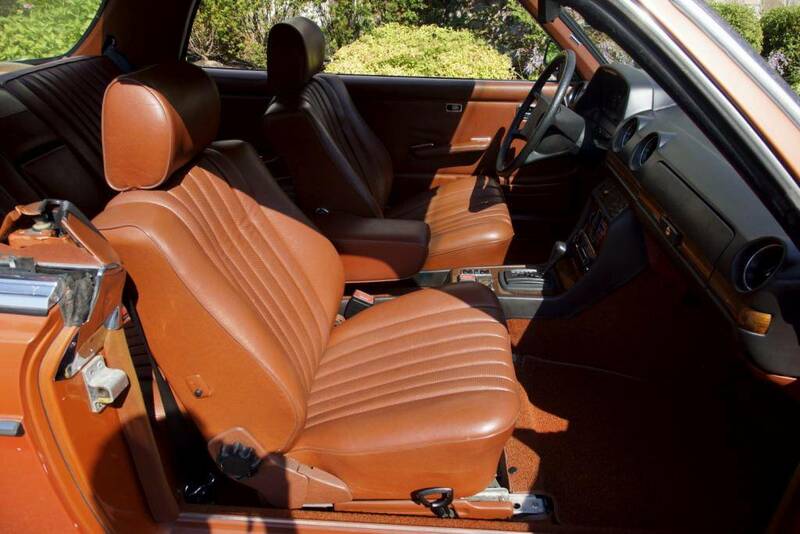 Rare color or not, it’s a non-turbo OM617 car with the terrible climate control system. 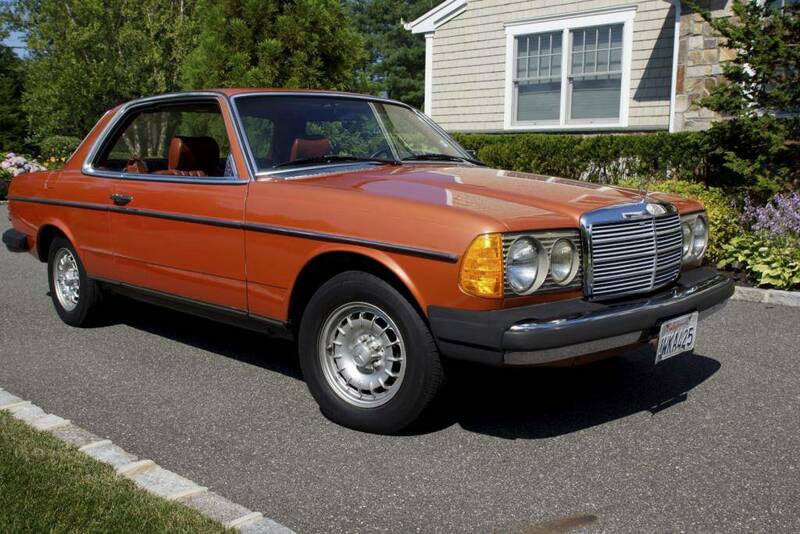 I’d probably put the value closer to $7,500 given that it’s been sitting for nearly three years and isn’t the most desirable W123 coupe you can buy. 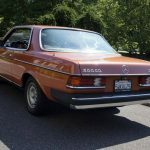 Tagged 1980, 3.0, 300CD, 5 cylinder, 581, C123, Coupe, diesel, Inca Red, Inkarot, Mercedes Benz, OM617, W123.